On the other hand, instances of hypocrisy in his behavior tend to make for a good story. So here we are again. When we married 5 years ago and began combining our bank accounts, I learned a few things about my husband. Nothing that I haven’t already shared with you. Because he loves automation, it came as no surprise to me that all his accounts resided in a single online repository (mint.com) where he could view his net worth—assets such as his home and car value, and debts including the loan left on his home and bills and credit card expenses that needed to be paid. He’d also made sure to automate the payment of all loans, utility bills, and credit cards—and the respective account would notify him when a payment was made. This mint.com account served as one dashboard view of all possible accounts he would otherwise have to access independently to see statements and make payments. It was genius! He could set up savings goals, budgets, email alerts for credit card payment reminders and notification of payment, suspicious account activity, and just about any other miscellaneous charge or activity or change in spending habits. It really did make life easier. Until I entered the picture. We married, I synced my bank accounts, and we combined cash. I scoured his historical data to observe spending habits—areas where we could save money (Taco Bell topped the ‘high spending’ for the Food/Dining category). As I began poking around his accounts, I noticed a monthly fee his Chase Freedom Visa credit card was charging him. I asked him about the fee; he pleaded ignorance. When I investigated further, I discovered that he’d been charged this fee for years, since he first got the credit card. I researched online and discovered that other cardholders had complained of being erroneously enrolled in a protection program when they first got their Chase Freedom card, and were being charged a similar fee of varying amounts monthly. Turns out this monthly fee was a percentage of monthly spending—and the Chase Freedom Visa credit card incentivized a cardholder to make all his purchases with that card, given its offer of 5% cash back on all purchases at the time. Needless to say, I wanted that money back. No less than a few minutes later, we were on the phone with Chase disputing the program enrollment and monthly charges. They acknowledged their error and refunded us the money lost over a span of several years. The lesson in all of this? Marry someone who’s not afraid to dig through your historical data. More seriously, automating processes or workflows is incredibly helpful, but without the proper attention and alert systems in place, you may still encounter holes in the story. Automation and alerts must go hand-in-hand to be effective—and as a consumer of the information you’re automating, you still must be invested enough to look at the big picture. For my husband, the beauty in automating his bill payments and aggregating all his accounts on mint.com was to save time he'd otherwise spend paying bills separately and checking cash flows in multiple different accounts. But he failed to set up alerts about important aspects of the process he was automating, and he failed to check in on his process from time to time. Mint.com provides an incredibly useful dashboard to give you the big picture overview of your accounts and your net worth; it also provides a plethora of alert options that save a consumer time from digging for red flags after the undesirable event has become a regular occurrence in the process (like I did). But without checking the status of the system or using its full automation potential, the system is only as good as its inputs until you revisit it or tweak it. This is just one piece of the puzzle. Alert systems offer so much more! 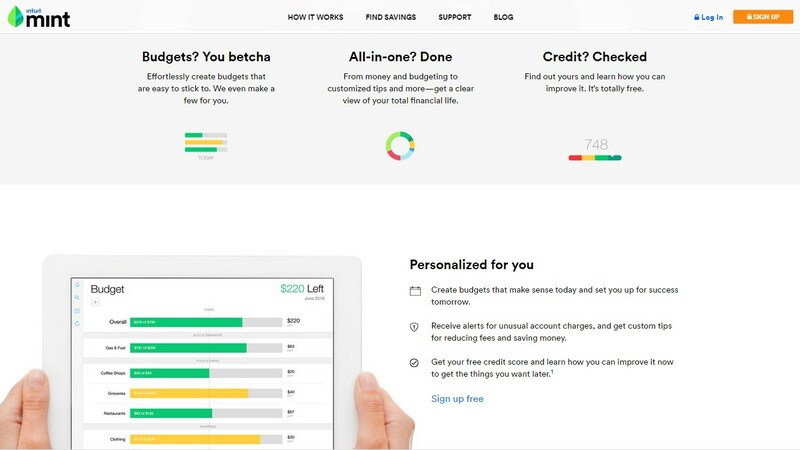 Awareness—setting alerts through mint.com with regard to miscellaneous fees would have offered insight about the credit card program my husband had been erroneously enrolled in. Immediate Feedback—the first time a fee was charged, he would have been able to take immediate action rather than waiting years later for his wife to discover the charge (manually, mind you). Time Saver—aside from automating bill pay and combining all accounts into a single repository for a big picture view of one’s financial status (which is certainly a time-saver in reviewing accounts and paying bills in various locations), an alert system would have saved me a lot of time in digging through my husband’s financial data to understand the origin of the fee Chase was charging him. Money Saver—while we were refunded all the money charged in monthly fees by Chase, clearly an alert system would have been a more foolproof way to save money in the first place. Alerts are also effective in ensuring bill pay occurs on time, notifying you when a statement has been prepared, when the bill is due, and when the bill has been paid. As process engineers or quality managers in the manufacturing world, you are very close to your process and its inputs. You want to know when something goes wrong, right when it happens. You don’t want a consumer to discover a flaw in a part or product you manufactured and sold years before, only to be faced with product recalls, customer reimbursements, time and money invested to re-manufacture and replace the defective product for unhappy customers, and in some cases, lawsuits. The stakes are high. Minitab offers a solution to this pain point in its Real-Time SPC dashboard. The dashboard is completely powered by Minitab Statistical Software, taking the graphs and output you know and love and placing them on customized dashboard views that show the current state of your processes. 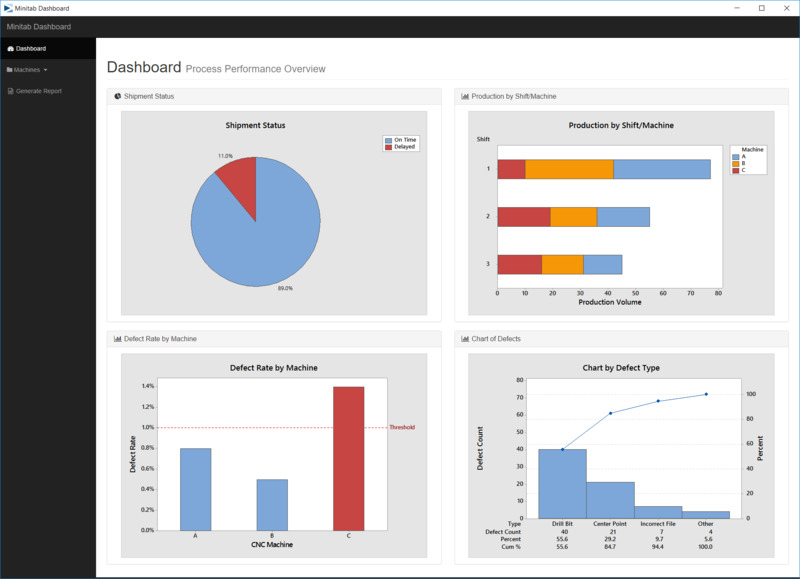 The dashboard gives you a big picture view of your processes across all your production sites, for instance, and highlights where improvements can be made. 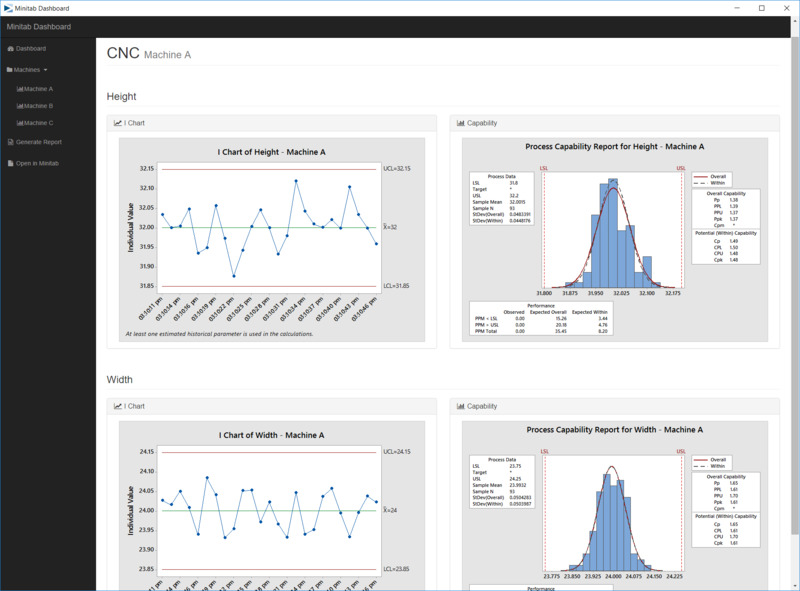 You can incorporate any graph or analysis you want—such as histograms, control charts, or process capability analysis. You can automatically generate quality reports about your processes, and set up any alert that will help you respond to defects faster. In the case of my marriage, alert systems are certainly practical from a financial standpoint. But in the world of manufacturing, ensuring alerts are set up around your automated processes has far-reaching implications as the time- and money-saving elements of alert systems greatly impacts a company’s bottom line. To learn more about how Minitab can help you, contact us at Sales@minitab.com. And if you’ve ever thought twice about whether or not you should marry, let this story be an encouragement to you—you may actually find a spouse who can make you richer.